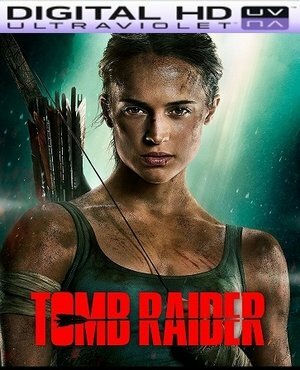 Digital UltraViolet and Digital Copy will makes it possible for you to stream the movie Tomb Raider HD UV Code instantly to your computer and compatible Smartphones, Andriod, iphone, iPod Touch, iPad and tablets devices anytime, anywhere. You can also download a Digital UltraViolet Copy or a Digital Copy of the movie Tomb Raider HD UV Code to your computer and compatible devices. Lara Croft is the fiercely independent daughter of an eccentric adventurer who vanished years earlier. Hoping to solve the mystery of her father's disappearance, Croft embarks on a perilous journey to his last-known destination -- a fabled tomb on a mythical island that might be somewhere off the coast of Japan. The stakes couldn't be higher as Lara must rely on her sharp mind, blind faith and stubborn spirit to venture into the unknown.